Montgomery County Public Libraries (MCPL) maintain an extensive collection of materials for county residents to check out. Have you ever wondered what the county’s library visitors are reading? We turned to our county’s librarians to determine the most popular titles in February. Click here to see availability at Montgomery County Public Libraries. This rhythmic, read-aloud title is an unbridled celebration of the self-esteem, confidence, and swagger boys feel when they leave the barber’s chair–a tradition that places on their heads a figurative crown, beaming with jewels, that confirms their brilliance and worth and helps them not only love and accept themselves but also take a giant step toward caring how they present themselves to the world. The fresh cuts. That’s where it all begins. Paintings rich with feeling tell this satisfying story of friendship and trust. Here is a book set on a wintry night that will spark imaginations and warm hearts, from Matthew Cordell, author of Trouble Gum and Another Brother. What does it take to be the “top dog”? 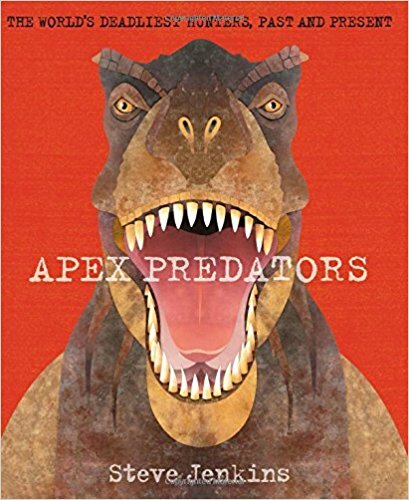 In his latest book, the award-winning author and illustrator Steve Jenkins introduces readers to apex predators–the animals that are at the top of their food chains and have no natural enemies. Using his signature art style, Jenkins illustrates how these animals dominate their different ecosystems using speed, strength, and even cooperation and cunning. Take a trip through history and discover apex predators both past and present, from the earliest sea creatures to the modern African lion and giant freshwater ray, which can grow to over fifteen feet. Caroline Herschel (1750-1848) was not only one of the greatest astronomers who ever lived but also the first woman to be paid for her scientific work. Born the youngest daughter of a poor family in Hanover, Germany, she was scarred from smallpox, stunted from typhus and used by her parents as a scullery maid. But when her favorite brother, William, left for England, he took her with him. The siblings shared a passion for stars, and together they built the greatest telescope of their age, working tirelessly on star charts. Using their telescope, Caroline discovered fourteen nebulae and two galaxies, was the first woman to discover a comet, and became the first woman officially employed as a scientist–by no less than the King of England! The information from the Herschels’ star catalogs is still used by space agencies today. Humankind needs to rethink how it uses energy more than ever. Energy Lab for Kids prepares young minds for future challenged by giving them the groundwork they’ll need. 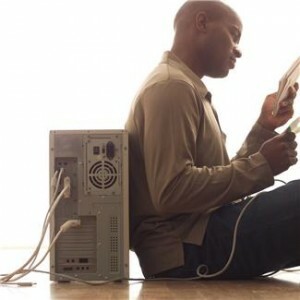 Energy Lab for Kids offers 40 discovery-filled and thought-provoking energy projects by Emily Hawbaker, a science educator from the NEED (National Energy Education Development) project. Each chapter contains scientific explanations, discoveries, and hands-on knowledge that make learning fun. 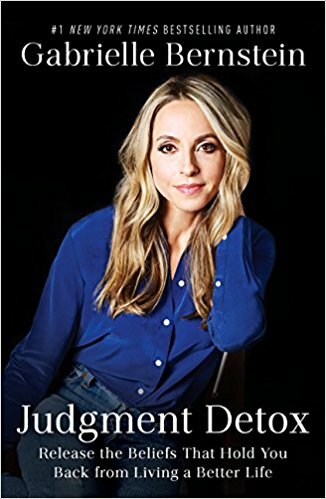 This title introduces readers to Katie Ledecky, providing exciting details about her life and going deep inside the key moments of her swimming career. 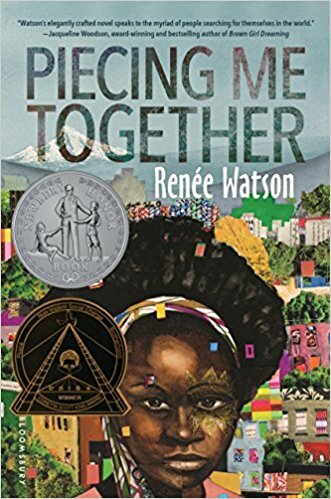 Acclaimed author Renee Watson offers a powerful story about a girl striving for success in a world that too often seems like it’s trying to break her. Jade believes she must get out of her poor neighborhood if she’s ever going to succeed. Her mother tells her to take advantage of every opportunity that comes her way. And Jade has: every day she rides the bus away from her friends and to the private school where she feels like an outsider, but where she has plenty of opportunities. But some opportunities she doesn’t really welcome, like an invitation to join Women to Women, a mentorship program for “at-risk” girls. Just because her mentor is black and graduated from the same high school doesn’t mean she understands where Jade is coming from. She’s tired of being singled out as someone who needs help, someone people want to fix. Jade wants to speak, to create, to express her joys and sorrows, her pain and her hope. Maybe there are some things she could show other women about understanding the world and finding ways to be real, to make a difference. Sixteen-year-old and not-so-openly gay Simon Spier prefers to save his drama for the school musical. But when an email falls into the wrong hands, his secret is at risk of being thrust into the spotlight. Now change-averse Simon has to find a way to step out of his comfort zone before he’s pushed out–without alienating his friends, compromising himself, or fumbling a shot at happiness with the most confusing, adorable guy he’s never met. Incredibly funny and poignant, this twenty-first-century coming-of-age, coming out story–wrapped in a geek romance–is a knockout of a debut novel by Becky Albertalli. An achingly beautiful novel about grief and the enduring power of friendship, We Are Okay is an acclaimed best book of the year! You go through life thinking there’s so much you need. . . . Until you leave with only your phone, your wallet, and a picture of your mother. An intimate whisper that packs an indelible punch , We Are Okay is Nina LaCour at her finest. 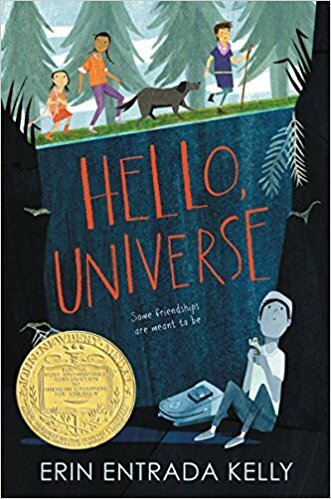 This gorgeously crafted and achingly honest portrayal of grief will leave you urgent to reach across any distance to reconnect with the people you love. For a family in crisis, the ultimate test of survival.Ernt Allbright, a former POW, comes home from the Vietnam war a changed and volatile man. When he loses yet another job, he makes an impulsive decision: he will move his family north, to Alaska, where they will live off the grid in America’s last true frontier.In this unforgettable portrait of human frailty and resilience, Kristin Hannah reveals the indomitable character of the modern American pioneer and the spirit of a vanishing Alaska–a place of incomparable beauty and danger. 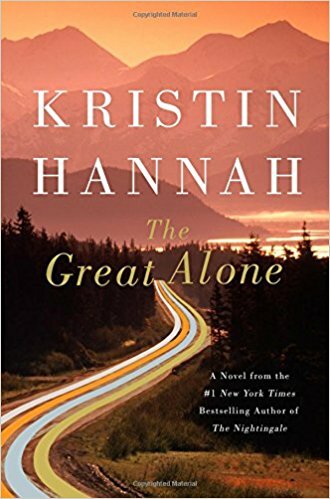 The Great Alone is a daring, beautiful, stay-up-all-night story about love and loss, the fight for survival, and the wildness that lives in both man and nature. After meeting at a local tavern in Belleville, Delaware, Polly and Adam have an affair, but when someone dies the two are so ensnared in each other’s lives and lies that neither can escape. Louisa Clark arrives in New York ready to start a new life, confident that she can embrace this new adventure and keep her relationship with Ambulance Sam alive across several thousand miles. She steps into the world of the super rich, working for Leonard Gopnik and his much younger second wife, Agnes. Lou is determined to get the most out of the experience and throws herself into her new job and New York life. New York Time bestseller. The master of the psychological thriller makes all the right moves in this new novel of spellbinding suspense. Even with all his years of experience, LAPD homicide detective Milo Sturgis knows there are crimes his skill and savvy cannot solve alone. That’s when he calls on brilliant psychologist Alex Delaware to read between the lines, where the darkest motives lurk. And if ever the good doctor’s insight is needed, it’s at the scene of a murder as baffling as it is brutal. Join the happiness revolution! The author of the New York Times bestseller The Little Book of Hygge offers more inspiration and suggestions for achieving greater happiness, by practicing Lykke (LOO-ka)—pursuing and finding the good that exists in the world around us every day.While the Danes are the happiest people on the planet, happiness isn’t exclusively Danish; cultures around the world have their own unique approaches to leading a contented, fulfilled life. For his work at the Happiness Research Institute in Copenhagen, Meik Wiking travels the globe from Dubai to Finland, Rio de Janeiro to Bhutan, South Korea to the United States, to discover the secrets of the very happiest people.